I'm trying to lose a few holiday pounds right now and I'd guess most of you are too. But as we focus on the scale we often lose site of our health. And shouldn't good health really be the goal? So instead of following a fad diet that may not be good for in the long run, let's fill our plates with the most fiber-rich, nutrient-dense and delicious foods we can and then we won't have room for or crave the bad stuff! I guarantee you will lose weight and won't be the least bit hungry. After six years and more than 500 Foods For Long Life posts, I thought it was time to list the foods that I think are most important for health and long life. So here it is, my top 20 foods with some popular recipes that use them. I could have just as easily written about 50 of them but my husband discouraged me from doing that. I'll have to save that list for my next book. Top 20 "Foods For Long Life"
Whether or not you are a vegetarian or vegan, beans should be your main source of protein. I try to eat at least a half cup to one cup of cooked beans per day. Beans provide protein without the saturated fat and cholesterol that you get with meat. They are also a great source of fiber, iron, calcium, magnesium, B vitamins and antioxidants. The mixture of protein and dietary fiber supports the regulation and balance of blood sugar. 1 cup of cooked lentils provides 18 grams of protein, 16 g of dietary fiber and 90% of the daily requirement of folate. 1 cup of cooked black beans have 15 grams of protein, 15 g of dietary fiber and 64% of the daily requirement of folate as well as 120 mg of magnesium. 1 cup of cooked soybeans provides 175 mg of calcium and half your daily requirement of iron. 1/2 cup of dried small red beans have more antioxidant capacity that 1 cup of wild blueberries. Soaking beans and discarding their soak water removes some of the phytates and tannis that can lower the availability of certain nutrients. It also reduces substances that cause flatulence. Mix it up and try different types of beans. My favorite places online to shop for a wide variety of beans are Purcell Mountain Farms and Rancho Gordo. Try making Spicy Black Bean Soup with Crispy Plantains or Marrow Beans with Lemon and Rosemary. Kale is my favorite green (it's also a cruciferous vegetable). It grows easily in the garden throughout the year in a temperate climate like we have here in Northern California. It's so nutrient-dense that it's like a leaf-shaped vitamin pill. 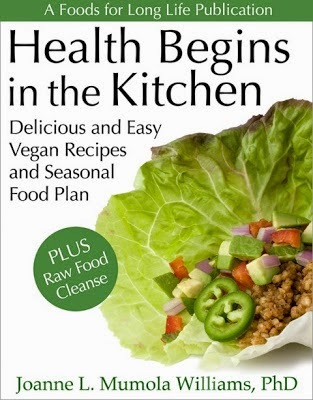 I serve my family at least one cup of raw or 1/2 to 1 cup of cooked greens every day. Always select organic greens as they are on EWG's "Dirty Dozen" list. My favorite way to prepare kale is to eat it raw in a salad by first marinating it in a little extra virgin olive oil, freshly squeezed lemon juice and a pinch of salt. Or, steam it in a pressure cooker for 2 minutes followed by a quick release of pressure, or sauté it in a pan with a little olive oil, water and garlic. It's also a great addition to your morning smoothie! Try my Shredded Kale and Quinoa Salad with Red Grapes, Bell Pepper, and Sunflower Seeds. Or, start your morning with my personal favorite breakfast: a Kale Bowl with Quinoa and Avocado. 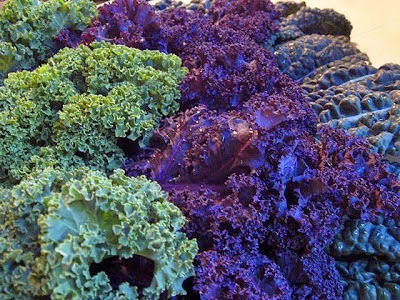 Other wonderful leafy greens include collards, chard, turnip greens, spinach and mustard greens. Wild blueberries are antioxidant powerhouses. They support heart health and can help improve memory and other cognitive functions. They also have a low glycemic index so they don't spike your sugar level like some other fruits do. In fact their high fiber content and low glycemic index can help regulate blood sugar levels in people with type-2 diabetes. Regular (not wild) blueberries, raspberries, blackberries, strawberries also have high antioxidant properties so add them to your shopping cart too. I always try to buy organic berries when available. I try to have berries at least 4 times a week. When they are in season, I eat them everyday, especially when my raspberry bushes are producing. I put berries in my smoothies, fruit salads, chia pudding, green salads and home-made ice cream. When I have extra, I make low-sugar jam with Pomona Universal Pectin. Select organic berries, especially strawberries as they are on EWG's "Dirty Dozen" list. Try a Blueberry, Pear and Baby Spinach Smoothie or make Low Sugar Blueberry Jam. I'm Italian so tomatoes are going to be high on this list no matter what. But luckily they are a very good source of vitamin C, vitamin A, vitamin E, vitamin K, copper, potassium, manganese, and B vitamins. They are best known for their antioxidant benefits as well as the long list of phytonutrients that they contain, the most touted being the carotenoid "lycopene." Tomato consumption has been associated with lowering the risk of prostate cancer. It has also been linked to reducing the risk of heart disease and improving bone health in postmenopausal women. Tomato lycopene is most effective in reducing heart disease, and other risk factors, when combined with olive oil, which makes me even happier. Of course we make a lot of tomato sauce with our garden tomatoes and when we have a big harvest, we can diced tomatoes and tomato sauce for the winter. 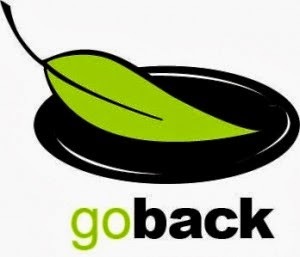 But we also use them in salsa, salads, soups, sandwiches, stews, and more. In the summer we eat tomatoes every day. In the winter we avoid the ones in the supermarket since they taste like plastic but we enjoy the ones we canned a few times a week. Select organic, especially when buying cherry tomatoes as they are on EWG's "Dirty Dozen" list. Try Tomatoes Stuffed with Quinoa and Sweet Corn. These power seeds are extremely important to the diet, especially if you do not eat fish. They are an excellent source of ALA omega-3 which is critical for heart health, brain development, reducing inflammation and joint pain, managing depression, preventing dry eyes, lowering cholesterol, controlling high blood pressure, protecting your bones and more. Flaxseeds contain the most omega-3 of the power seeds but hemp contains the most protein and chia has the most fiber and calcium. So we eat at least one of these seeds every day. For more critical information on omega-3 and what these power seeds can and cannot do for vegans, read my January, 2011 blogpost. When we bake, we substitute flax eggs for eggs by mixing 1 tablespoon of ground flax seeds with 3 tablespoons of water. We sprinkle hemp seeds on almost everything including our oatmeal, raw fruit or green salads and use cold-pressed hemp oil in our salad dressings. We make chia seed pudding for dessert or use chia seeds to thicken smoothies or salad dressings. We certainly eat at least one of these seeds every day. 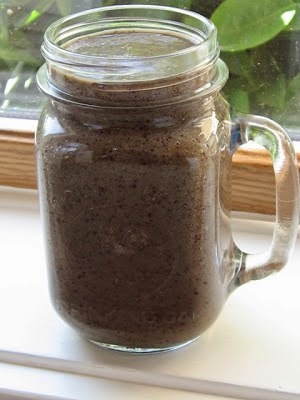 Try Chia Seed Pudding with Hemp Milk and Blueberries. 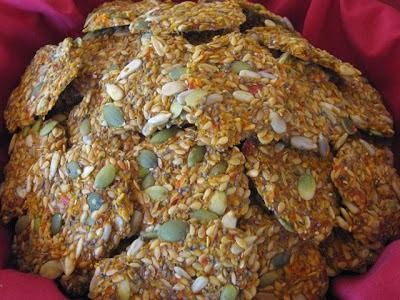 Flaxseeds are the foundation for raw crackers. If you have a dehydrator, try these Raw Omega-3 Rich crackers. If you read my January, 2011 blogpost, you will see that it may be difficult for you to get enough EPA and DHA from just consuming the ALA omega-3 from power seeds. Not everyone can efficiently convert ALA to the critical EPA and DHA omega-3. Vegans who do not eat fish should consider taking a supplement that extracts these forms of omega-3 from algae. For those of you who eat seafood, you should select those that have the highest amount of DHA and EPA omega-3 and the lowest amount of mercury. Anchovies, herring, Pacific oysters, and salmon are all low in mercury and contain the highest concentration of DHA and EPA omega-3. Consider eating 2 to 3 servings per week. Since we live 20 minutes from Bodega bay, we are able to get wild, line-caught salmon. Try Mango and Black Bean Salsa with Honey Lime Baked Salmon. Although lemons and limes taste acidic, they are actually alkalinizing in the body. They also rich in vitamin C and contain phytonutrients that have antioxidant and antibiotic effects. They have even been shown to protect against cholera! But aside from their many medicinal uses, from relieving asthma and fighting colds to reducing the risk of gout, I encourage using these wonderful fruits in cooking for their ability to enhance the flavor of a dish without having to use excessive salt. I use the juice and/or the grated peels of lemons and limes in salad dressings, salsa, smoothies, hot or iced tea, as a marinade for kale, to bring out the flavor in soups, to flavor pesto without parmesan, in hot water as a cleansing beverage, as a flavoring for cooked greens and other veggies, and so much more. I use fresh lemons or limes every day. Squeeze half a lemon into a cup of warm water in the morning for a nice cleansing effect. If you have a lemon or lime tree, here's a good way to store the juice and zest. Part of the Allium family (a cousin to onions which should also be part of your daily diet), garlic contains powerful sulfur-containing compounds that give it its reputation for promoting health. Garlic is known to promote heart health by having strong anti-inflammatory properties. These properties also may help with other illnesses caused by inflammation. Garlic also has the ability to control infections from bacterial, viruses, fungi and yeast and has properties that can lower the risk of many cancers. Crushing and chopping garlic allows the conversion of alliin into allicin, the compound that provides you with its health benefits. Let the crushed or chopped garlic rest for 5 to 10 minutes before cooking it or adding it to lemon juice or any ingredient that is acidic, or it will quickly reduce the allicin content. In any recipe that uses garlic, I chop or crush it first before doing anything else so that it can rest and develop its superpowers! Use it everyday if possible. I use garlic to flavor salad dressings, I sauté it and add it to just about everything I cook. It is the main flavor in pesto and hummus. Try making this Chimichurri Sauce. I have met many children who will not look at a vegetable but for some reason they love broccoli. One child told me that it was because they look like little trees. Broccoli's most important characteristic is its ability to help prevent cancer. It does so because of three characteristics. It's a powerful antioxidant. It has anti-inflammatory properties and the ability to promote and regulate detoxification at the cellular level. Most research has shown a link between broccoli and decreased risk of prostate, breast, colon, bladder and ovarian cancer but it may very well lower the risk of many other types of cancer also. A half-cup serving a day or a two-cup serving twice a week would provide these benefits. Broccoli is also low in calories and high in fiber - a great combination when trying to lose weight. Because of its anti-inflammatory properties, it is may also help prevent heart disease. It's high concentration of lutein and zeaxanthin make it an important food for eye health. And don't forget to eat the broccoli leaves. In fact, in our garden, we live off of the delicious leaves long after we've removed the head of broccoli. The healthiest way to cook broccoli is to briefly steam at low temperature, about 5 minutes. I cook it for only a minute in my Instant Pot Pressure Cooker and then release the pressure immediately. Then I toss it with a mixture of extra virgin olive oil, cold-pressed hemp oil, lemon juice, pressed garlic and salt. Some of my other favorite and health-promoting cruciferous vegetables include arugula, bok choy, Brussels sprouts, cabbage, cauliflower, collard greens, and kale. Years ago you probably had never seen quinoa in the stores or served in a restaurant but it has now become quite popular. Although it is served as a whole grain, it is actually a seed. Perhaps its most important quality, especially important to vegans and vegetarians, is that it provides all 9 essential amino acids and is considered a complete protein. It's also gluten-free, making very popular with those avoiding gluten. We love quinoa. It's quick and easy to prepare. It takes 18 to 20 minutes on the stove and 5 minutes in my Instant Pot Pressure Cooker (with the added time to get to pressure and time for a natural release). I use it the same way I would use rice. It's great to stuff into bell peppers, winter squash, or tomatoes (as shown above). Serve beside a nice curry or stir fry dish. We enjoy quinoa several times a week but it's important to mix up your grains. Alternate between quinoa, millet, rice, polenta, wheat berries, and other whole grains. Try Black Bean, Corn and Quinoa Stuffed Peppers with Enchilada Sauce. A recent study showed that 1 to 1.5 ounces of walnuts each day may help protect against Alzheimer's disease. Not a surprise as foods that resemble body parts are often good for them. Just look at a walnut with its shape of a brain, even having two hemispheres! But don't stop at walnuts. A 30 year study showed that people who ate just a 1/4 cup of nuts each day were 20% less likely to die from any cause, had a 29% reduction in cardiovascular deaths and an 11% reduction in cancer deaths. So mix it up by eating walnuts, almonds, Brazil nuts, pecans, pistachios, cashews and others. I like them raw and leave a Nut Medley out for us to graze on all day. Make sure they are unsalted or you won't be able to stop at 1/4 cup. I also sprinkle nuts over oatmeal, fruit or green salads, bake them into muffins, cakes and breads, and sprinkle them on top of frozen desserts. I adore avocados. Living in California, we have year-round access to them. Although they are high in fat, much of it is good heath-promoting monosaturated fats like oleic acid. And they are packed with vitamins and minerals such as Vitamins B6, C, E and K as well as folate, pantothenic acid and potassium. They are also very high in dietary fiber and contain carotenoids, a class of powerful plant chemicals found in many red, orange, and yellow fruits and vegetables. All of these compounds contribute to their ability to reduce inflammation in conditions such as arthritis. This property also helps them lower the risk of cancer, support cardiovascular health and help regulate blood sugar. Avocados also enhance the absorption of beta carotenes. I eat 1/4 to 1/2 an avocado per day. I serve them for breakfast over a kale bowl or in a fruit salad, for lunch or dinner in salads, guacamole, salsas, blended into raw soups and salad dressings, over chili or beans, over baked potatoes, in sandwiches and more. See 10 Ways to Enjoy Avocados. We especially love Guacamole. Try making this recipe with 1/2 to 1 clove of crushed garlic instead of the chopped red onion. Throughout history mushrooms have been praised for their health-promoting properties. Growing up I just had access to white button mushrooms but now the markets are filled with exotic mushrooms, each having their own health-promoting properties. Shiitake, maitake, chanterelles, oyster, portobello, crimini, porcini, and others can be found either fresh or dried. Like all other classes of foods, I encourage you to mix it up and enjoy all kinds of mushrooms. But don't forage for them yourselves without an expert tour guide as you can easily poison yourselves. Mushrooms are most known for their ability to boost your immune system or to fight tumor growth. Three population studies show that women who eat an average of one button mushroom a day have half the risk of breast cancer than women who don't eat mushrooms! I cook them in soups, stews, pasta, with veggies, in mushroom pates, with grains, stuffed, and more. I enjoy them several times a week or more. Try Shiitake and Maitake Mushroom Stroganoff. Orange foods generally mean lots of beta-carotene so I always try to have something orange on my plate. Sweet potatoes are one of the best sources. Beta-carotene is a precursor of vitamin A so when you eat beta-carotene, the body turns it into vitamin A, or retinol. Vitamin A is needed for healthy skin, mucus membranes, healthy eyes and good vision as well as a healthy immune system. Sweet potatoes should always be eaten with a little fat to make the beta-carotein more absorbable. Sweet potatoes are one of our favorite orange foods. A typical weeknight menu is a baked sweet potato topped with baked beans or spicy black beans and steamed broccoli or greens on the side. Other orange foods that should get special mention are carrots, butternut squash, cantaloupe and other orange melons, apricots, papayas, mangos, and oranges. Probably the most popular post on this blog was one I did in 2009 featuring a Healthy Vegan Sweet Potato Casserole topped with Pecans. Most people wait for Thanksgiving to make it but it's a great way to enjoy sweet potatoes and should be enjoyed all year round. It's one of my husband's favorites. Who wasn't happy to discover that dark chocolate's rich antioxidant flavonols turned it into a health food? But dark chocolates mixed with fats other than cocoa butter or with too much sugar added aren't going to be something you'd want to munch on every day. So look for unsweetened baking chocolate, or chocolate bars that are at least 70% dark. Better yet, add pure cacao to your smoothies or desserts. Chocolate's flavonoids may reduce the risk of heart attack because they have anti-inflammatory actions, they can lower blood pressure, improve arterial blood flow, lower the susceptibility of LDL cholesterol to oxidative damage while increasing HDL, and prevent blood platelets from clumping. It's not only good for heart health, but may also improve brain function. We eat a small piece of dark chocolate most days or just throw a tablespoon of raw cacao in our smoothies. 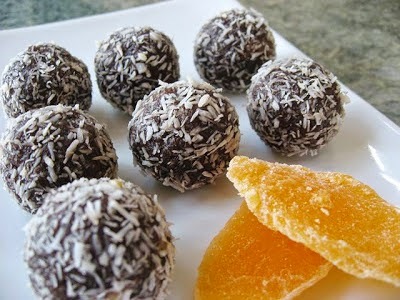 When entertaining we often make Raw Chocolate Truffles. Oats are a wonderful, fiber-rich whole grain that help lower cholesterol levels and support heart health. They also help stabilize blood sugar making them helpful in lowering the risk for type-2 diabetes. Oatmeal is great for breakfast on chilly mornings. I also like using oat flour for gluten-free baking. We enjoy oatmeal about 3 times a week and enjoy making it with bananas, apples or cranberries. Try Oatmeal with Walnuts, Bananas, and Raisins. Yes, an apple a day keeps the doctor away but make sure it's organic since apples top the list for most pesticides on EWG's Dirty Dozen list for 2014. This popular fruit contains important phytonutrients that can regulate blood sugar. It's fiber content makes it a satisfying food to munch on when trying to lose weight. There are so many ways to use apples but our favorite is to munch on apple slices. A recent study showed that a child is much more likely to eat apples it is sliced. For a fruit salad that incorporates a number of Foods For Long Life, try Waldorf Salad with Apple Chia Dressing. Red peppers are one of my husband's favorite foods. For only 46 calories, these nutrient-dense beauties provide 3 times your daily requirements of vitamin C, and are a very good source of fiber, vitamin A, E, B6 and folate. They are packed with carotenoids such as alpha and beta-carotene, lycopene, lutein, zeaxanthin and many more. They are most nutritious when eaten raw, like in this Raw Veggie Wrap with Ginger Tahini Dipping Sauce, but they are still very nutritious cooked, just avoid very high heat.. Always select organic bell peppers as they are on EWG's Dirty Dozen list. The Mediterranean diet has long touted olive oil for his ability to protect the heart. This has been attributed to its polyphenol content with its powerful anti-inflammatory properties. Olive oil also gets 75% of it's fat from oleic acid which is a monosaturated omega-9 fatty acid. Most cooking oils, like corn, sunflower, and safflower, have much less monosaturated oils. This high level of monosaturated oils may be linked to olive oil's ability to reduce blood pressure. Consumption of olive oil has also been linked to reducing the risk of many cancers, including breast, respiratory tract, and upper GI tract. It is also a good source of vitamin E.
I use olive oil in salads, and in cooking on medium-low heat. I use it in baking instead of butter. I always select extra virgin which is from the first pressing of the olives and is unrefined. Always protect olive oil from the light. For safe measure, I always wrap my bottles in aluminum foil, even when the bottles are tinted. Artichokes have been one of my favorite foods since I was a child. I remember the strange looks my classmates would give me when I whipped out a stuffed artichoke at lunchtime. I was equally surprised to see them eating a peanut butter and jelly sandwich, something I wouldn't experience until I left for college. Artichokes are very high in dietary fiber, over 10 grams each. They are also a very good source of vitamin C, K, folic acid (important during pregnancy) and manganese. Have you ever noticed that artichoke leaves are in most tea preparations used to cleanse your liver? That's because they contain the flavonoid silymarin, which is a powerful liver protectant. Artichokes also stimulate the production of bile which helps you digest fats. The powerful antioxidants rutin, quercetin, and gallic acid contained in the leaf of the artichoke have led researchers to believe that artichokes may help fight cancer. We eat them stuffed, on top of pasta, in paella, steamed with a dip, in an antipasto, in soups, in morning scrambles, and in salads. We also drink tea made from artichoke leaves. Try Artichokes with Creamy Garlic Lemon-Pepper Dill Sauce. So forget about the fad diets and load up on these great foods! Here's a consolidated list of the Foods For Long Life that you should eat regularly. Cut and paste it onto your shopping list. For recipes and menus that incorporate many of these important foods and additional nutritional information, Download my eBook, Health Begins in the Kitchen, available on Amazon and iTunes. We've made it past the holidays and have had our share of eating and cooking big meals so it's absolutely fine if you want to celebrate New Year's Eve with a few appetizers and a bottle of bubbly. The following are some of my most popular appetizer posts that you may want to consider. A lot of people spend big bucks on their New Year's champagne, but our absolute favorite is Roederer Estate Brut - Estate bottled sparkling wine, Anderson Valley. And it's less than $25 a bottle and you can sometimes find it for less than $20. Since Roederer Estate was founded by one of the most famous Champagne houses in France, Louis Roederer, it should be no surprise that it is in the style of French Champagne and just as delicious. Except for the Italian sparkling wine Prosecco (I have no particular favorite brands), Roederer Brut is the only bubbly we drink. What's a party without a simple Antipasto? Most of these ingredients can be found in a olive bar or in jars at your local market. It's a great alternative to crudités. 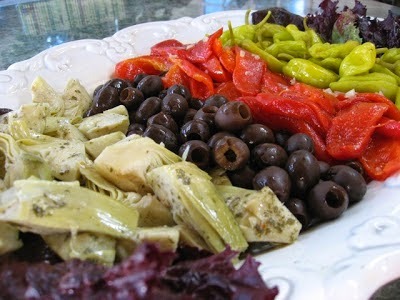 Or if you prefer, prepare an Antipasto Salad. This yummy vegan Catalan Romesco sauce makes a tasty dip and if made with gluten-free bread, can be suitable for your gluten-free guests. Vegan, dairy free. Gluten free if made with GF bread. 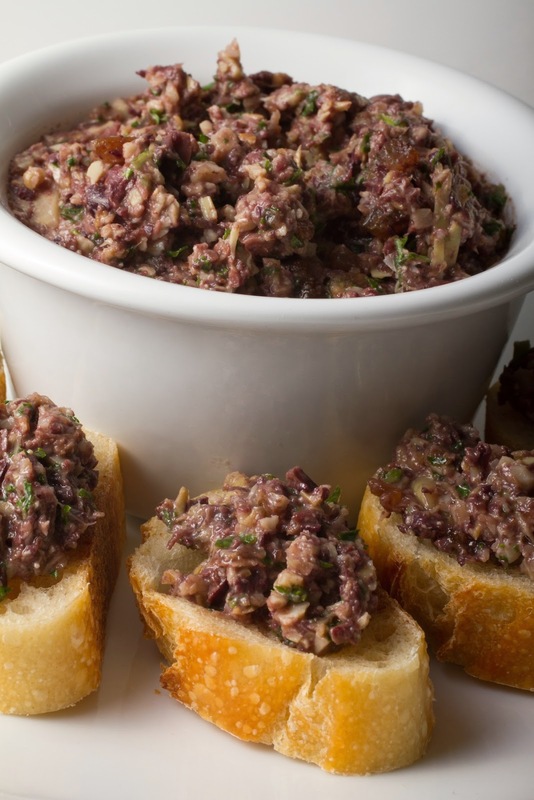 This Sweet and Spicy Kalamata Olive and Artichoke Tapenade with Hazelnuts is a crowd pleaser. You can make it earlier in the day or even the day before. Enjoy this healthy, raw Garlicky Red Pepper Dip with Basil and Cashew Cream and enjoy all the cancer-fighting benefits of cruciferous veggies. This can also be made ahead of time. Raw vegan and gluten free Red Pepper Dip. 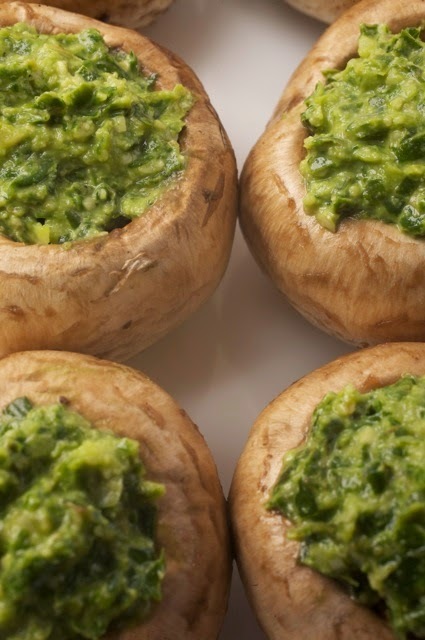 Although most recipes stuff mushrooms with sausage and cheese, this Raw Vegan and Gluten-Free Walnut and Spinach Pesto Stuffed Mushrooms are a lot lighter and healthier. Pesto can turn a little brown so don't fill the mushrooms more than several hours before your party. Since we grow wine grapes we usually make these with fresh leaves but you can use the ones in the can to make these yummy Dolmades. Or make a raw vegan version that uses raw chard leaves and sprouted garbanzos. Both recipes are vegan, dairy free and gluten free. Domades make great appetizers so even if you don't want to go to the trouble of making them, buy them in a local deli. Miso and Ginger-Glazed Eggplant would make a wonderful appetizer for your New Year's Eve party. Prepare them up to the step where you cover them with the glaze. Then cook them under the broiler for the last 5 minutes before you serve them. Prepare up to this point earlier in the day. These will take a day and a half so you'll have to start them right away, but these Raw Vegan and Gluten-Free Zucchini Onion Crackers are delicious and will make a nice accompaniment to your dips. Of course there are lots of vegan and gluten-free crackers and chips available in your local market so you can just purchase an assortment of them to make life even easier. I hope I've given you some ideas for a simple and stress-free New Year's Eve. dish for your vegan and gluten-free guests. I love to serve risotto for the holidays but it is a difficult dish to make when there are a number of things on the menu and you don't feel like stirring for 30 minutes with company sitting at the table. But this year I have my new Instant Pot Pressure Cooker and making risotto is a snap. Once the butternut squash is roasted, scooped from the skin, and mashed (you can do that earlier in the day), just stir it into the cooked risotto which only takes minutes in this pot and requires no stirring! But even if you make risotto the traditional way, this dish is worth the effort. The roasted squash adds a beautiful buttery texture to the risotto and the Meyer lemon gremolata is the perfect topping when you want flavor without a dairy parmesan. 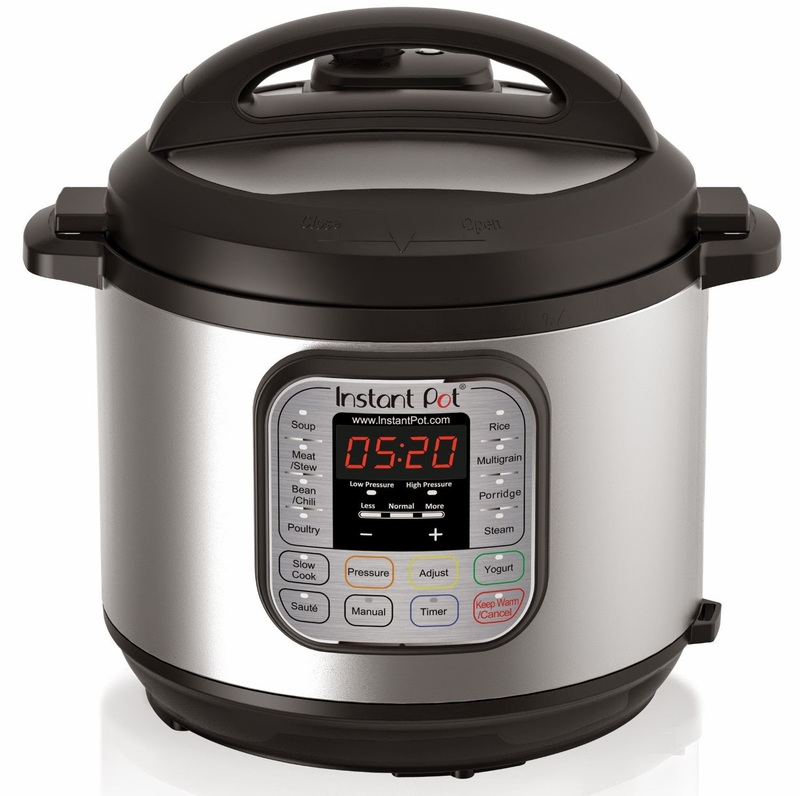 Make no-stir risotto in the Instant PotIP-DU060 in 5 minute (plus the time it takes to bring to pot up to pressure)! Preheat the oven to 400 degrees F. Cut a butternut squash in half, removing the seeds. Use one pound of it (I had a 2 pound squash and used one half of it). 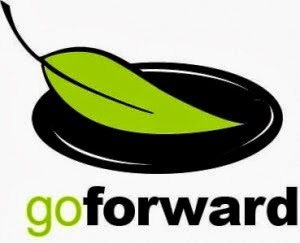 Rub the cut side with olive oil and place, cut side down, on a non-stick roasting pan or a pan lined with a Silpat mat. Roast until a fork easily pierces through the skin, about 30 to 45 minutes. When cooked, remove the squash from the oven. Let cool a bit and, with a spoon, scoop out the squash. Place in a bowl, mash, cover to keep warm and set aside. Roasted butternut squash on a Silpat silicon mat. Make the gremolata while the squash is roasting. Place the chopped parsley in a small bowl. Grate the garlic clove over the parsley and then grate the Meyer lemon peel. I like to use my Microplane Zester/Grater to do this. Mix together until combined and set aside. Parsley, lemon zest and grated garlic combine to make gremolata. Using the sauté function on the instant pot, heat 1 tablespoon of olive oil and 1 teaspoon of the Earth Balance (or ghee). Add the onions and cook for about 3 minutes. Add the garlic and cook another minute. Add the rice and stir until coated. Add the wine and stir until it is absorbed. Stir in 4 cups of the broth, salt and pepper. Hit the off button. Secure the lid and set the manual button to cook under high pressure for 5 minutes. Then, do a quick release. Carefully remove the lid, tilting it so that the steam comes out the back. Add the remaining 2 teaspoons of Earth Balance (or ghee) and the warm, mashed butternut squash. Stir until well combined. If it's not warm enough, briefly turn on the sauté function and heat it up, while stirring. Adjust seasonings and serve immediately in wide, shallow bowls topped with Meyer lemon gremolata. Per serving: 342 calories, 4.4 g total fat, 1 g saturated fat, 35 mg omega-3 and 308 mg omega-6 fatty acids, 0 mg cholesterol, 6 g protein, 64 g carbohydrates, 4 g dietary fiber, and 215 mg sodium. Heat 6 cups of broth in a small pot and keep warm on low heat. Place a 12-inch saute pan with at least 3-inch sides over medium heat. Add 1 tablespoon of olive oil and 1 tablespoon of Earth Balance (or ghee). Stir in the onions, salt and pepper and cook, stirring frequently, until the onions soften, about 5 minutes. Add the garlic and stir until fragrant, about 1 minute. Add the rice and stir continually until the grains are opaque, about 3 minutes. Add the wine and stir until it is absorbed, about 2 minutes. Add the hot broth to the rice 1 cup at a time, stirring continually, until each cup is almost absorbed. This takes about 20 to 25 minutes and will use up most or all of the 6 cups of broth. When the rice is just tender, stir in the remaining tablespoon of the Earth Balance (or ghee) and the mashed butternut squash. Adjust seasonings and serve immediately in wide shallow bowls topped with Meyer lemon gremolata. Per serving: 365 calories, 3,6 g total fat, 1 g saturated fat, 35 mg omega-3 and 308 mg omega-6 fatty acids, 0 mg cholesterol, 6 g protein, 64 g carbohydrates, 4 g dietary fiber, and 232 mg sodium. 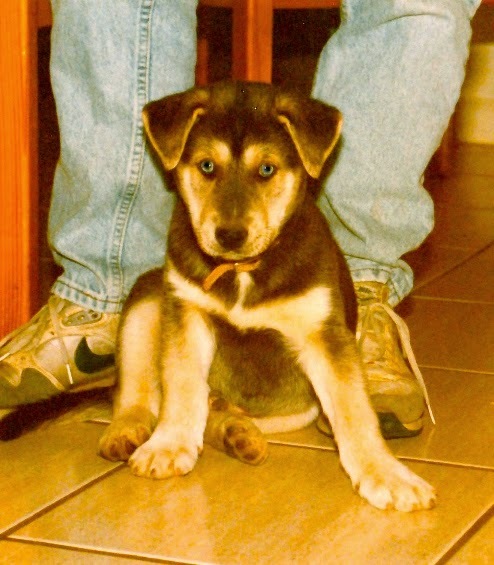 Our husky-lab Budha as a puppy. Toking Up for the Holidays? As marijuana is legalized in certain states for recreational and medical use, I would venture to guess that some of you will be toking up for the holidays or adding that special ingredient to your favorite holiday baked goods (perhaps there's some hope for that dreaded fruit cake after all.) Of course common sense would tell you to keep all alluring edibles away from the children, but what you may not know is that marijuana is very toxic to dogs. It's also dangerous for cats but most cats are finicky and wouldn't eat it, although they could inhale it. 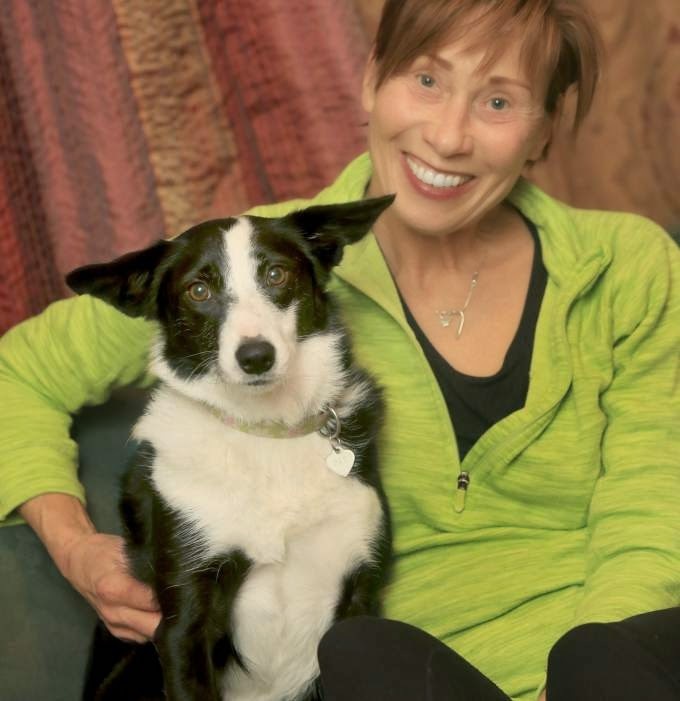 I opened this morning's Press Democrat (our local newspaper here in Sonoma county) to find my friend Diane Szczepanski on the front page with her dog Rae who became terribly ill after ingesting marijuana at the fairgrounds. Unfortunately there were two events this weekend there. The canine agility competition (which is what Diane and her dog were participating in) and the Emerald Cup, the world's only outdoor cannabis competition. After her "potty walk" around the fairgrounds, the dog appeared a bit out of it. After getting home, Rae fell deathly ill. In the emergency room, they diagnosed the problem as marijuana toxicity. from the Press Democrat article. Charcoal is often administered to absorb the toxins and IV fluids are administered. Ventilator support and hospitalization are required when critical. It can take pets 18 to 36 hours to recover. If severe cases are not properly treated, your pet could die. Three years ago I wrote an article on Foods to Avoid Feeding your Dog. Since those foods include chocolate, macadamia nuts, and raisins, any of these foods in marijuana edibles would certainly add to the toxicity if ingested by your pets. Pets can also be sickened by inhalation of the smoke. So if marijuana is on the menu this holiday, keep it far away from the kids AND the pets! Chia Hachiya Vegan Eggnog2014 Virtual Vegan PotluckRipen A Hichiya Persimmon Overnight! No eggs, no dairy - just creamy eggnog goodness! Welcome to the 2014 Virtual Vegan Potluck! Bloggers from all over the world are participating once again to bring you delicious vegan recipes - from appetizers to desserts. You will be able to click to through to their recipes later on but first, let me share my mine. This recipe starts with a funny story - well, maybe not-so-funny story. Four years ago I planted what I thought was a fuyu persimmon tree. It hasn't done very well. 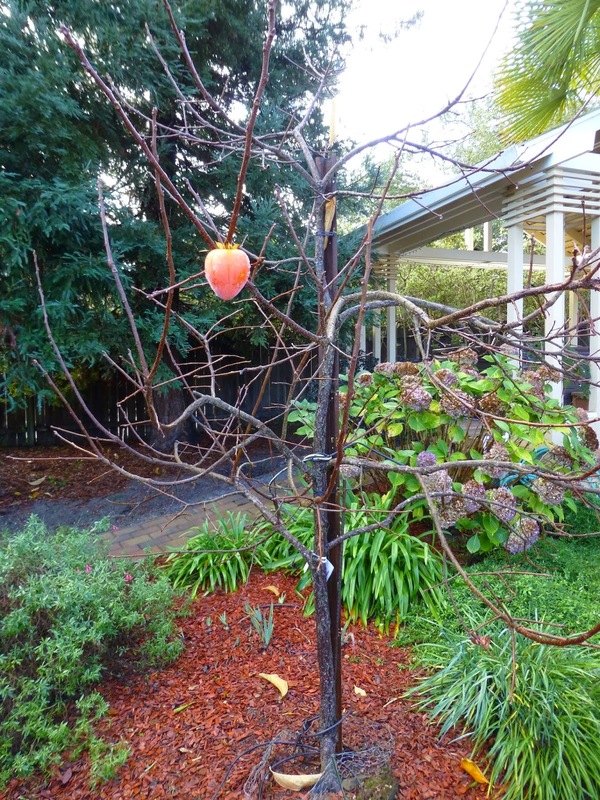 In fact I haven't gotten a single persimmon on it - until this year. I got ONE. Yes, after four long years I got one stinkin' persimmon. I didn't even notice it until every leaf fell off the tree and then, there it was. A big hachiya persimmon. I waited all this time only to discover that the nursery sold me the wrong persimmon tree! The reason I didn't like hachiya persimmons that much was because they took so long to ripen and lose their astringency. But I recently discovered that they can easily ripen overnight if you put them in the freezer! Who knew? Freeze overnight or longer and defrost. 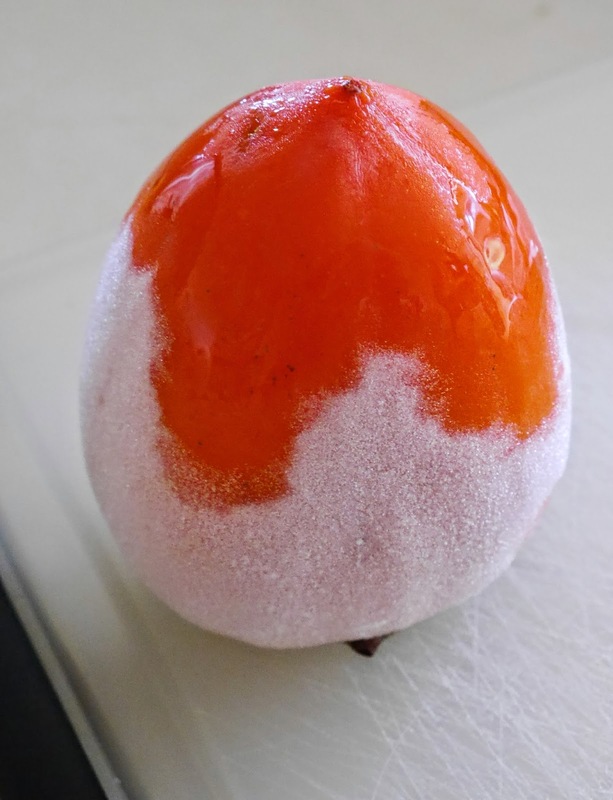 after defrosting to ripen even more. Slice and scoop out ripened fruit. My friends Bill and Lauren have been supplying me with fuyu persimmons while I've been patiently waiting for my tree to produce. My friends Ray and Rory have lots of hachiyas that I have never been that interested in because I didn't know the freezer trick. But now I'm thrilled about getting hachiyas from them and they have generously given me several boxes of them. His tree gets almost 1,000 persimmons on a good year! Now that I am mother to many hachiyas, I've been wondering what to do with them. One day I made a smoothie with almond milk, cinnamon, chia seeds, and a juicy persimmon and my husband said, "this tastes like eggnog!" It sure did. To be certain, I threw a shot of bourbon in it, sprinkled it with nutmeg and it was wonderful. I was so excited because I LOVE EGGNOG but can't have dairy. And, I HATE CALORIES. Even the vegan eggnogs in the store are crazy high in calories. So I have been playing around with this recipe all week and I think I've finally perfected it. By the way, this eggnog has only 185 calories and 3 grams of fat, even with a shot of Maker's Mark. Regular eggnog, with a shot of whiskey, has over 400 calories and 19 grams of fat! Plan ahead one day to freeze persimmons and a few hours to defrost and soak chia seeds. * Maker's Mark does not claim to be gluten free because they use red winter wheat used as a flavoring grain that gives it its special taste. However, the bourbon is double-distilled which supposedly strips the gluten from the wheat. Use your own discretion given your particular sensitivity to gluten. For a gluten-free alcoholic eggnog, substitute rum, which is generally gluten free. If gluten is not a problem, I highly recommend adding Maker's Mark. The night before, or sooner, place the hachiya persimmons in the freezer. Take them out of the freezer to defrost. Meanwhile, sprinkle chia seeds into the vanilla almond milk and stir vigorously until they are well separated. Do this several times over the course of 10 minutes to make sure they don't clump together. Set aside for an hour or more while the persimmons are just defrosted enough to cut. Slice the top off the persimmons and then cut each vertically in four pieces, cutting away the inner, fibrous center vein that tends to be astringent. Scoop out the flesh and place in the blender, discarding the skin. Stir up the milk and chia seeds and add them to the blender along with the cinnamon, 1/8th teaspoon of the nutmeg, stevia and salt. Blend until smooth. Pour into glasses and stir an ounce (2 tablespoons) of Maker's Mark (or other bourbon) or rum into each glass (optional). Sprinkle with nutmeg and serve. Per serving (without alcohol) 116 calories, 3 g total fat, 0 g saturated fat, 594 mg omega-3 and 219 mg omega-6 fatty acids**, 0 mg cholesterol, 2 g protein, 23 g carbohydrates, 3 g dietary fiber, and 108 mg sodium. Per serving (without a shot of Maker's Mark) 185 calories, 3 g total fat, 0 g saturated fat, 594 mg omega-3 and 219 mg omega-6 fatty acids**, 0 mg cholesterol, 2 g protein, 23 g carbohydrates, 3 g dietary fiber, and 108 mg sodium. ** Omega fatty acids do not include contribution from almond milk since that information is not available. OK, now for the rest of the Virtual Vegan Potluck Recipes!